Continuing our Continuum Tips and Tricks episodes, we will now demonstrate how to change the desktop background when using Continuum for phones. The video also contains a few tips about the types of backgrounds that may work best, horizontal vs vertical backgrounds and a few minutes of rambling about why the Windows Hero image may be important when using Continuum for phones. Speaking of backgrounds (also known as wallpapers), Windows Central has a nice article that helps us gather the Windows Spotlight backgrounds if you have clicked “I want more” after clicking “Like What You See?” on your computer’s lock-screen. 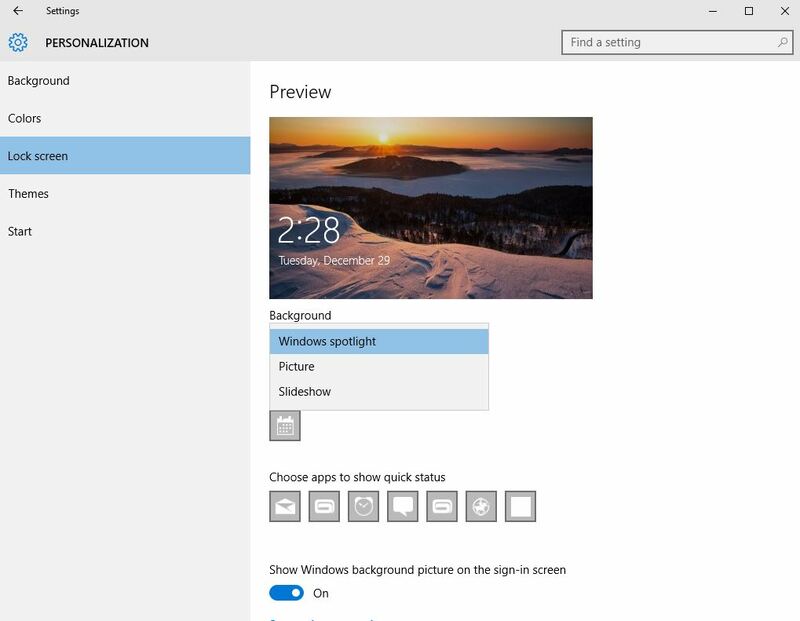 You may have to enable Windows spotlight on your Windows 10 computer by accessing the personalization settings as pictured below. After enabling Windows Spotlight, you can favorite the images and collect them via Windows Central’s steps in the article. Once saved, you can then copy them to your phone or OneDrive and use them as backgrounds for Continuum for phones as described in my video. What’s your opinion of desktop backgrounds in general. Do you go for solid colors, buildings, landscapes, people, plants or animals? What is your current desktop or smartphone background? Where do you get your backgrounds from and do you mind sharing them? Do you make your own desktop backgrounds or have any favorite apps or sites to build a collection from? Please share you thoughts in the comments section. Have a great day everyone, be safe and Happy New Year to all!! !